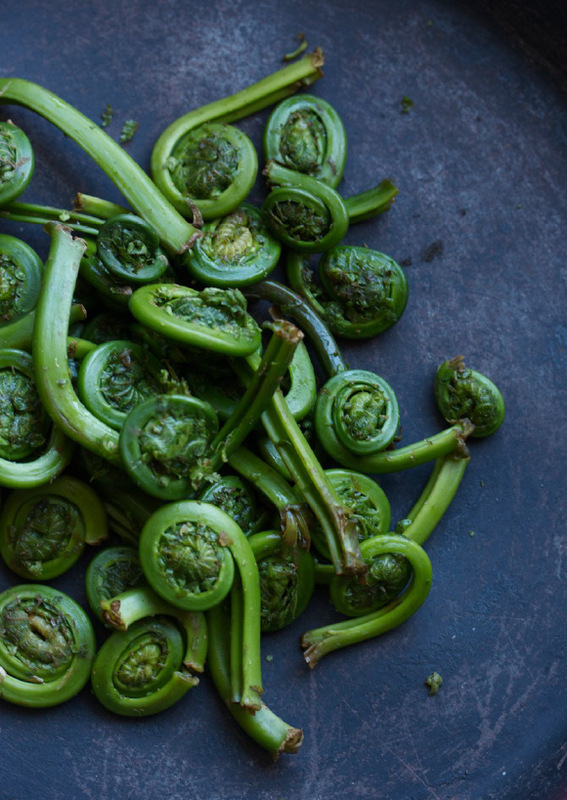 We know it’s really spring when these alien-looking, delicate, little, leafy baby fern scrolls begin to unfurl and peek their heads up in the forest and make their way into our skillets for pastas and veggie dishes that truly wonder and delight and are just a tad Lord of the Rings/Game of Thrones in a great way, if we do say so, ourselves! Ben Jacobsen recently started the Jacobsen Salt Company where he makes bespoke, hand-harvested, pure, local sea salt just outside Portland, OR, using water from the nearby Netarts Bay. The beautiful salt he produces is bright, flaky, airy and tastes like the ocean and nothing more – which is the very reason it’s been snatched up by restaurants and foodies all over the Pacific Northwest (that and the fact that it’s the only salt harvested locally in that area – making it über chic with the Portland area locavore set). 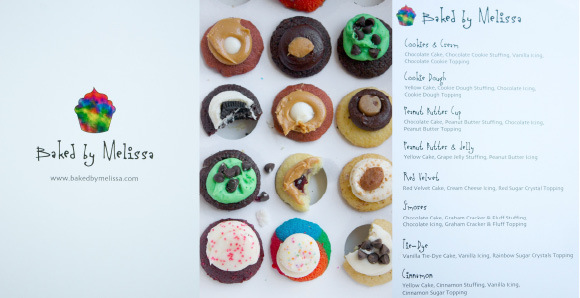 And, fortunately for us, it’s also the reason we just received it as a lovely early b-day gift from our dear transplanted Portlandian, gastronome friend – thank you, once again, lovely JJ, for giving us delicious treats whist making us look cool and in the know! It’s been too long since the last time we walked across the beautiful Brooklyn bridge for pizza at the legendary Grimaldi’s (since before both kids were walking, actually!). The bridge was as lovely as ever – framed with purple flowering trees on the Brooklyn side that seemed to underscore a phenomenal spring day. We got mango “flowers” on sticks as our appetizers on the way over, which added to the otherworldliness of Brooklyn on one of the season’s first really warm days with everything fully laden and bursting with blooms. And we’re pleased to report that Grimaldi’s is as good as ever in its new digs down the street – perhaps even better. The crispy coal-fired brick oven crust with its giant, delicate air bubbles rivals the best Roman fare. The guys in the kitchen – like dancers – move in prefect harmony as they pat, sprinkle and toss. And the coal fired brick oven is like an amusement park ride for foodies (the first coal fired brick oven in America was at Grimaldi’s, back in 1905, and today, this kind of cooking is truly a dying art). They moved down the block to their new space a few months ago (with barely a down day in between) and the new high ceilings, giant windows and tons of natural light really set the stage for the pizza cooking show for all patrons to see. It doesn’t hurt that the new merry-go-round is right around the corner, overlooking the water. And the fact that we got to take the ferry back to Wall street was a real cherry on top of a great weekend day for all that attended, especially those 5 and under! NO CREDIT CARDS – NO RESERVATIONS – NO SLICES – NO DELIVERY and worth every minute of the 45 min wait with two hungry kids.